The California Department of Tax and Fee Administration (CDFTA), which administers California’s sales tax collection, has recently begun to send out letters to users of the “fulfillment by Amazon” service. The letter states that the CDTFA has received information that the recipient has inventory stored in a warehouse or fulfillment center in California, and that this may require registration for payment of sales tax. Taxpayers or sellers who received this letter may or may not be required to file sales tax returns and remit taxes, but how do you know if you are required to do so? This is necessary to determine because failure to collect and remit these taxes may subject you to paying additional tax, penalties, and interest. Why Did the CDTFA Send This Letter? The decision in the recent Supreme Court case, South Dakota v. Wayfair, Inc., prompted these letters by the CDFTA. The Court’s decision allows states to collect sales tax from out-of-state sellers by requiring sellers to collect and remit sales tax even without a physical presence by the seller. A seller who sells a tangible product, has a sales tax nexus in a state, and sells to buyers of that state may have to pay the sales tax for that sale. To be required to collect and remit sales tax, a seller must have a sales tax nexus. A seller has sales tax nexus when that seller engages in business in that state. Engaging in business can include but is not limited to a physical location (office, distribution, storage, place of business), or a person working for the seller (representative, agent, or salesperson) in that state. More specifically, storing inventory at a physical location in a state (an Amazon Fulfillment Center) has sales tax nexus. Some sellers who received the letter from CDFTA may be confused as to how they are doing business in California, and it is critical to know that if you are a seller that you may be required to comply with this sales tax if your inventory is held in an Amazon Fulfillment Centers in California. California also has statutory exemptions from sales tax, and it is important to determine if you qualify for such an exemption. 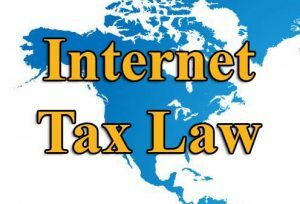 If you received a letter regarding this issue or think you may be required to comply with this tax law, it is advisable to be proactive sooner rather than later. Dealing with the CDTFA can be a tough and unusual area of tax, and at Dallo Law Group our attorneys have years of experience working with the agency in both audits and collections. We can help you determine whether your business is required to comply with sales tax reporting or not, and if so what the next steps are.